Have a look at some of the best multi tools on the market. Easily decide what you would like. Some men love their gadgets. Whether they are techies or hands on do-it-yourself types, men love gadgets they can use to do any number of things and they love them to be easy enough to carry around. This makes the multi tool a great addition to any man’s life when considering a gift. 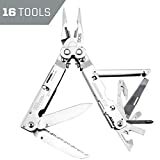 There are so many of these things on the market so I decided to go through the best multi tool from six of the best manufacturers based on the reviews received on Amazon. I am sure you will find something you like. 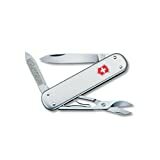 Victorinox is a worldwide phenomenon when it comes to the creation of pocket knives and multi tools. There are so many variations available for a guy who likes to be prepared for anything. This one is almost dainty looking at first glance but look on and realise it contains a nail file and cleaner, knife and scissors. Then there is the money clip which can be attached to your person keeping the whole blade safe. Some like the money clip, while others find it to be a complete unnecessary addition to a wonderfully simple tool. This money clip comes in three different colors – black, red and silver so a bit more choice as you buy. With a 25 year warranty, this multi tool is a ‘made in the USA’ wonder. The warranty is not as wonderful as the lifetime guarantee given by victorinox but it still shows a level of certainty in the work they produce. Also, why buy European when you can get American?! 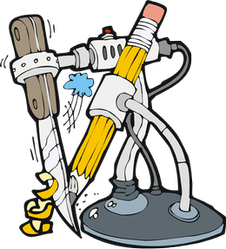 It comes with pretty much every tool you could be looking for like pliers (needlenose? And the regular kind), wire cutters, knives, drivers, wire stripper,saw, scissors and more. A tool for every occasion. It is still small and light enough to be carried around even with all the tools it carries. The other thing about the tools is that they all lock in place so they do not get floppy when trying to use them. This is definitely one of the winners when considering multi-tools. You can get it in Black as well. For a tool that will help you in any situation, you will not go far wrong with the Gerber variety of Multi Tool. Any guy would be so pleased with you for enriching their life with this Gerber Multi Plier multi tool. All it needs is a flick to open it which makes it pretty handy when you have only one hand free. It has bottle opener, scissors and all the other tools you would expect to find on one of these gadgets, you (or the gift recipient) may well, find themselves using it daily. Remember to wipe it down before use as the black has been known to rub off onto hands and clothing. Are you going camping, fishing or hunting? then you will need one of these tools. It is definitely different from any of the ones listed above as this contains a knife, a flashlight, a fire starter and a sharp whistle. This one, I think is even suitable for anyone looking to defend themselves - Self-defence in one handy little gadget. All you need to do is attacked is Flash the light in their eyes and whistle like crazy. (Not to mention the Knife!!) or maybe you could set their hair on fire! For the rest of you who do not get attacked usually, it is useful for any work performed in the low light conditions. As it was made to be functional and yet compact, this definitely lives up to and exceeds expectations. This comes with the usual such as bottle opener, pliers, can opener (as well, I like the idea of this, handy when you cannot find it in the kitchen drawers again! ), screwdrivers and more. 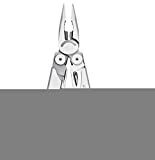 It does have two blades – a straight edge and a serrated edge – which they pride themselves on being the first in the world to provide that on a multi tool. It also has a lifetime warranty which always gives you an indication of how much they trust their work. If they are willing to stand by it, well, surely it must be good. The other great thing about this tool is that it is customizable. So you are able to truly make it your own by buying other accessories and fitting them to the blade. 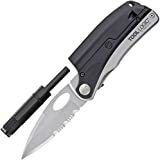 It is not a Leatherman or one of the mighty Swiss Army Knives but it contains a mighty array of tools like a mini hand drill, six screwdrivers and more. It is such a convenient tool and the way it is made makes it so easy to fold into your pocket. The screwdrivers on the tool consist of the Phillips Head and flat screwdrivers, making it useable for any number of things. It is too amazing! 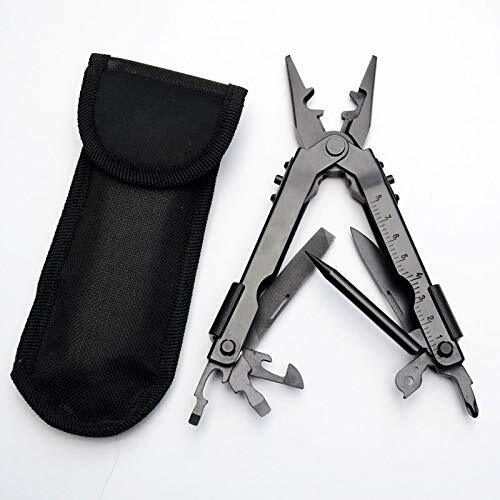 This is a great multi tool gift for any man – light enough to fit on a keychain and yet sturdy enough for any job. 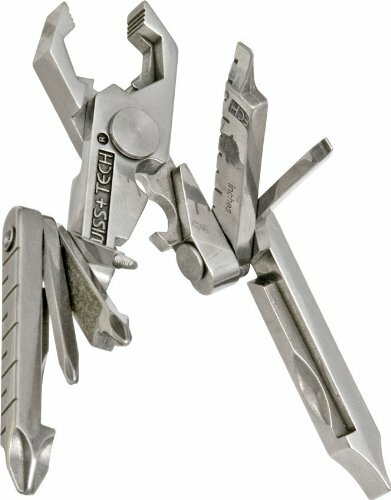 A mighty list of some of the best multi tools on the market. I hope it helps you make a great choice for yourself or for a loved one. One stop shop for man tools! Great article.